With two locations in Clinton & St. Francisville, we can proudly serve you and the entire State of Louisiana! Since moving my insurance to Record Agency, I have unfortunately had to file 2 claims. 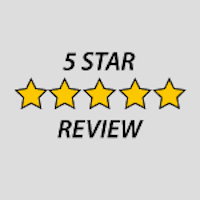 On both occasions, Neil and his associates have been extremely helpful. I have finally found an agent that not only advises me on insurance needs but will also stand by his clients in their time of need. Thank you Neil! And thanks to all in your office! I am a Real Estate Broker and own several rental properties. They are all insured with Record Agency..... we had a claim on one of our houses on a Saturday, I immediately call Charlene, she got the ball rolling and Mr. Neil Record also called me from his fishing trip on Saturday afternoon to make sure that I was being taken care of.... The insurance adjuster called on Monday morning, and came right out. Neil Record is my "Go To " Man and the Record Staff are Helpful and Professional. Information and Followup is the Best I have EVER experienced. As the circles traveled in express, Record folks are "Good People." I have used Record Agency for my business and personal insurance needs for years. Their customer service is superb. I have complete faith in Record Agency to put my needs first and to get me the best value possible. I would not consider going anywhere else!